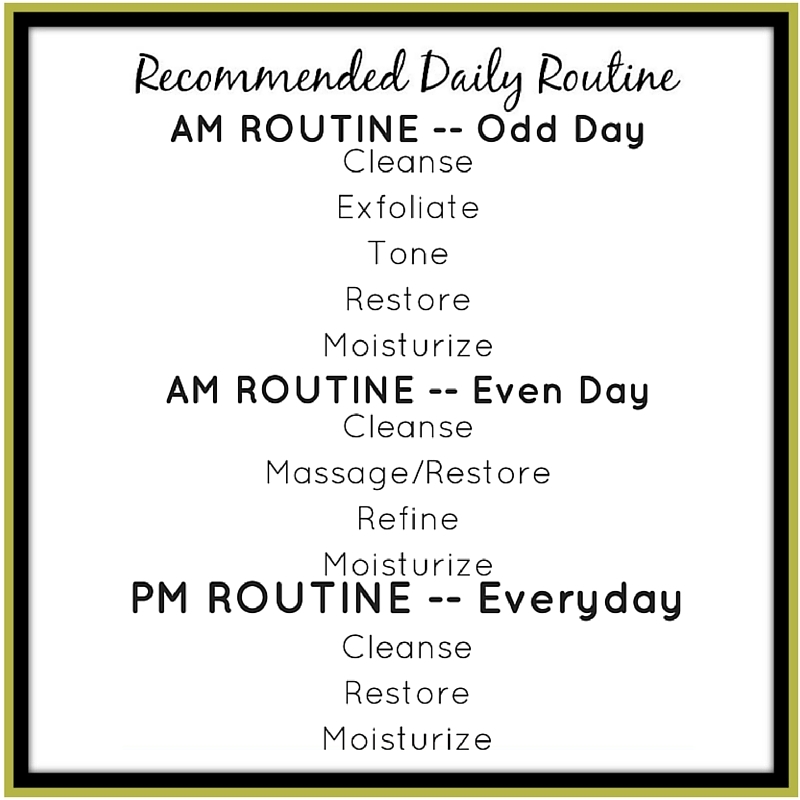 Here is what I have posted on my bathroom mirror so that I remember which products to use each day! 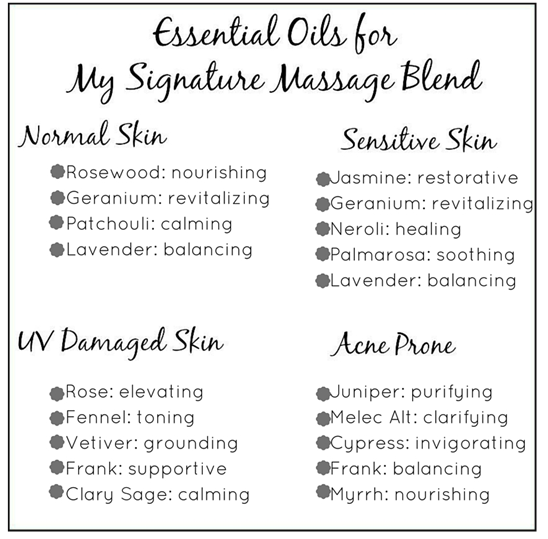 If you want to make your own massage oil, use this guide to help you! Add a few drops to fractionated coconut or sunflower oil! 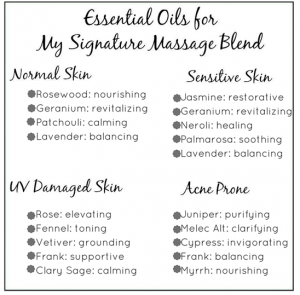 I have found a few ways to make my Young Living skin care products last longer! Check out here how I stretch out my Young Living Toner and Bath Gel! 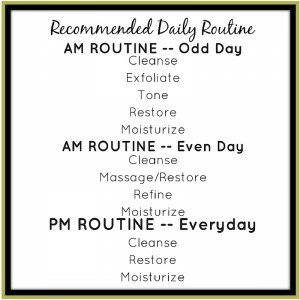 Here is my little tri-fold I use when teaching my skin care classes!